We supply and repair a wide range of ice making machines from a small icemaker with a 4 Kg storage bin to a large icemaker with a 300 Kg ice storage bin. Please phone for details if you need a larger ice maker. The important factors you need to take into account when purchasing a new icemaker is firstly the external dimensions and installation site of the ice maker, some ice makers have have air vents on the side panels and some have them situated on the front panel, either way these air vent panels must be kept clear. Secondly, you need to calculate how much ice you will need daily. Our ice makers show the daily production of ice in kilograms and ice storage bin capacity. You may for example find an ice maker with a small ice storage bin and a large ice production rate will for fill your needs if space is a problem. 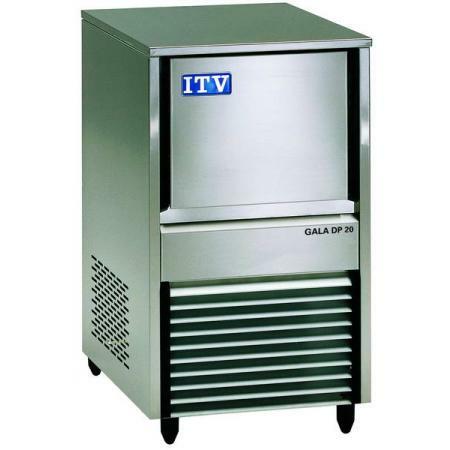 Thirdly, there is a myth that ice makers need to be sited in a cold cellar, this isn't true. 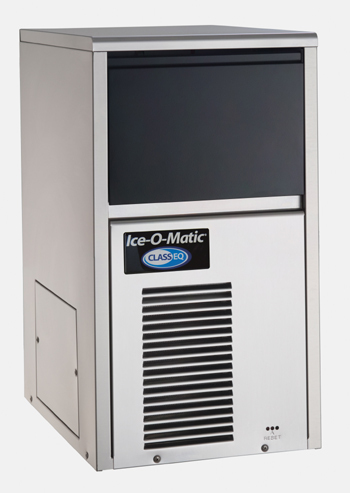 Commercial ice makers are designed to run at optimum in room temperature around the 20°C mark. Changing the ambient temperature either way will slow the production rate of ice down. Icemakers even have there own insulated storage bin to delay melting. Lastly, ice makers do have some waste drainage water which is fed out the back of the machine at the bottom via a waste pipe. They use gravity to drain and cannot pump the water out should it need to travel uphill. This can be solved by an external sump pump which is available and costs £95 +vat. We're not tide to any one manufacturer so we really can offer impartial & unbiased advise on icemakers. We only list icemakers that we feel are fit for purpose and have been market tested with a good track record of reliability and a quality production of crystal clear ice. With a growing increase in demand for ice cubes in the market today you may find your current icemaker just can't cope. If this sounds familiar then you are left with two options. Either purchase a new ice maker with a higher production rate or buy a smaller ice making machine to run along side your current machine.